Female macropterous. Body colour brown, legs and antennal segments III–VIII yellow; fore wings light brown with base pale. Antennae 8-segmented, III & IV slender with long forked sensorium. Head longer than wide and projecting in front of eyes, without sculpture between eyes; 2 pairs of ocellar setae present, pair III as long as distance between compound eyes and arising on anterior margins of ocellar triangle; postocular setae small and not in a single row. Pronotum transverse, inner pair of posteroangular setae longer than outer pair; posterior margin with only 1 pair of setae. Metanotal sculpture weak, campaniform sensilla absent, median setae short and arising behind anterior margin. Mesofurca with spinula. Fore wing first vein with 2 setae on distal half, second vein with about 5 widely spaced setae; clavus with 3 marginal setae, apical seta shorter than sub-apical seta. Tergites with transverse lines of sculpture medially, posterior margin of I–VII laterally with small microtrichia; tergite VIII with comb of long regular microtrichia. 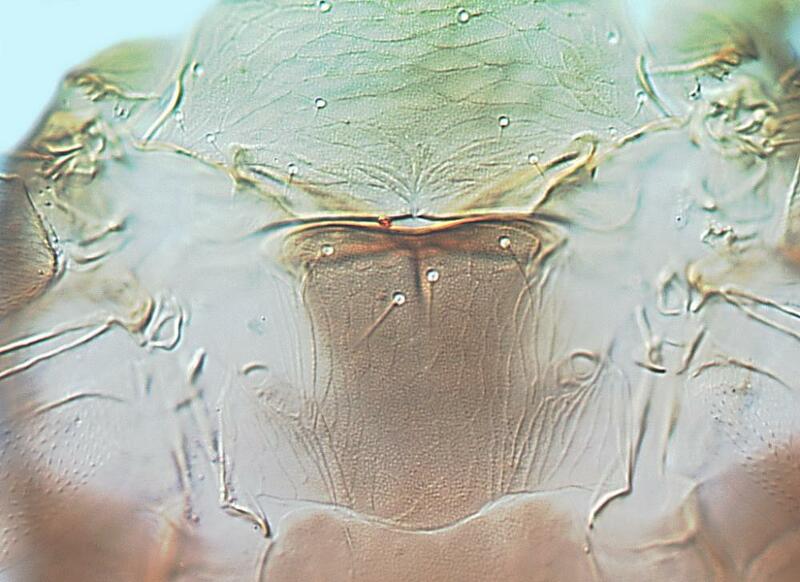 Sternites without discal setae, setae S1 on sternite VII arising in front of margin. The only species in Sciothrips is similar to the species of Limothrips and Bregmatothrips in the general appearance of its slender body, and with the head prolonged in front of the eyes. 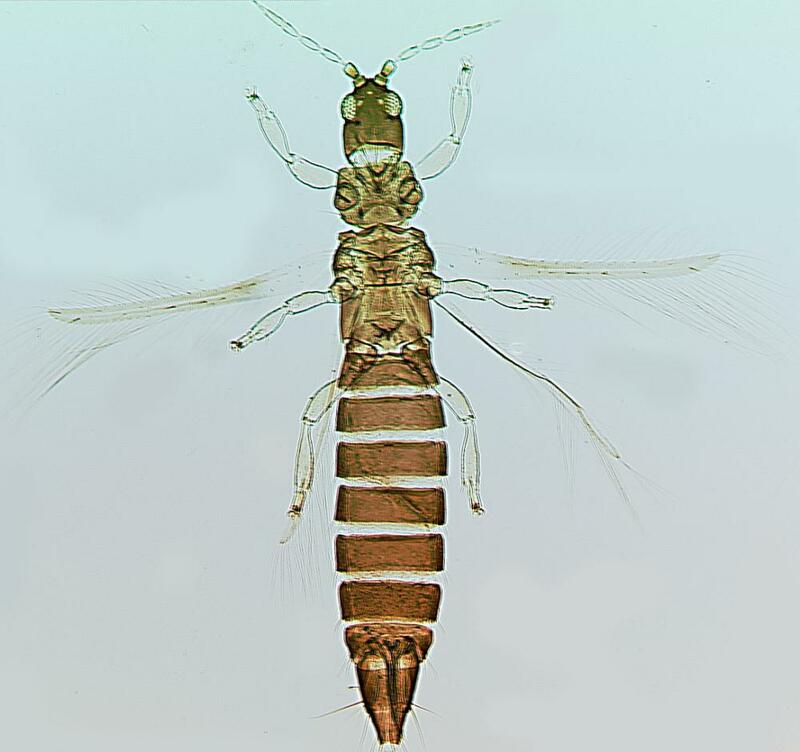 However, the tergites lack posteromarginal craspeda, and the genus is possibly derived from Taeniothrips, judging from the absence of ocellar setae pair I, and the long and regular posteromarginal comb on tergite VIII. Breeding on young tissues of flowers and leaves. Apparently breeding only on cardamom plants (Elettaria cardamomum) [Zingiberaceae]. Widespread in India and Bangladesh, also China (Hainan) and introduced to Costa Rica (Mound & Marullo, 1996). Not known from California, but a potential immigrant.